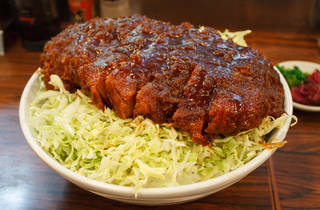 Big eaters will love this casual tonkatsu eatery in Kita-Senju, while dieters will do well to just stay away: the plus-sized rice bowls served here are stuffed with cabbage before getting topped with a demi-glace soaked cutlet – a delicious but fattening combo that attracts a steady stream of customers. 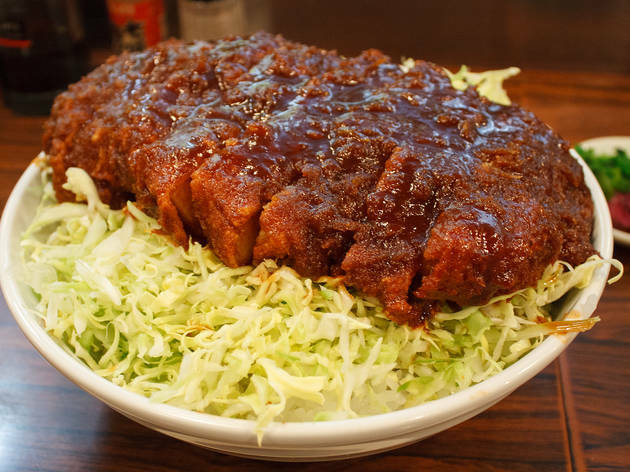 The owner likes to recommend the tokudai (extra big) version (¥1,100), but even our ravenously hungry reviewer had trouble finishing the monster. If you're looking to fill up on the cheap and aren't particular about counting calories though, there's no going wrong here.